GULFPORT, MS (WLOX) - More than a thousand dolphins have washed up on the shores of the Gulf of Mexico since 2010. Now, a study by the National Oceanic and Atmospheric Administration (NOAA) explains why. NOAA enlisted the help of the Institute for Marine Mammal Studies (IMMS) in Gulfport to complete the study. It shows that the Deepwater Horizon oil spill in 2010 had both a direct and indirect impact on the population of bottlenose dolphins in the Gulf. Scientists describe it as an unusual mortality event. Dr. Moby Solangi, director of IMMS, said that more than 1000 dolphins washed up dead since 2010. According to Solangi, most were babies, and most were found in Mississippi. "Mississippi is the nursery grounds for these dolphins. This is where they're coming to give birth," said Dr. Solangi. 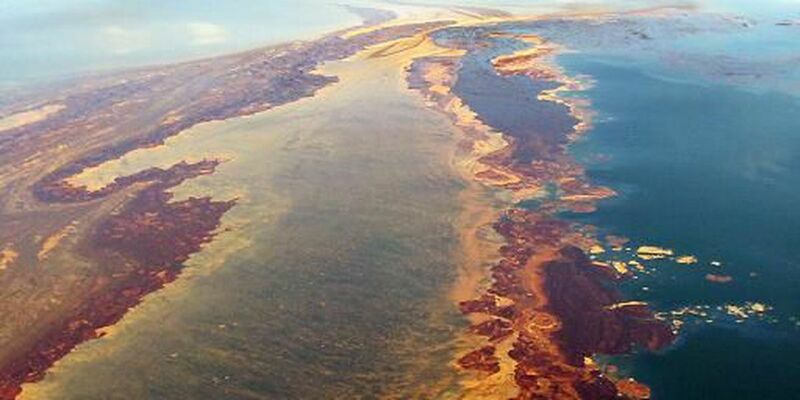 According to Dr. Solangi, the direct effect of the oil spill happened when the animals came in contact with the plumes. "When you inhale hydrocarbons and you ingest hydrocarbon and its products, it will weaken the animal, plus it could have toxic effects," he said. One of the effects found from tests done at IMMS, in partnership with Mississippi State University's veterinary program, is that the dolphins' immune systems were weakened as a result of plume contact. Solangi said the weakening of the dolphins' immune systems made them susceptible to something called Brucella. "It's a bacterium that can cause abortions in livestock," said Solangi. Brucella is in the Gulf, according to Solangi, as a result of agricultural runoff from 31 states and two Canadian provinces that eventually flows into our waters. If the dolphins can't fight off infection, their young are in danger of being aborted. According to Solangi, the study results should be taken seriously, because he said the ecosystem doesn't stop at the shoreline. "Ultimately, whatever happens to them is going to happen to us," said Solangi. Studies still show that seafood from the Gulf is safe to consume, according to Dr. Solangi. He also said that 54 dead dolphins have already washed up on Mississippi's shores this year. Last year, there were 35 dead dolphins found in Mississippi the whole year. Fifty-four is already higher than the number of dolphins found for each of the past four years.